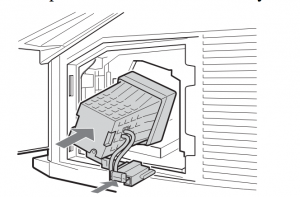 When it’s time to replace the Sony KDS-60A2000 TV Lamp follow this guide. 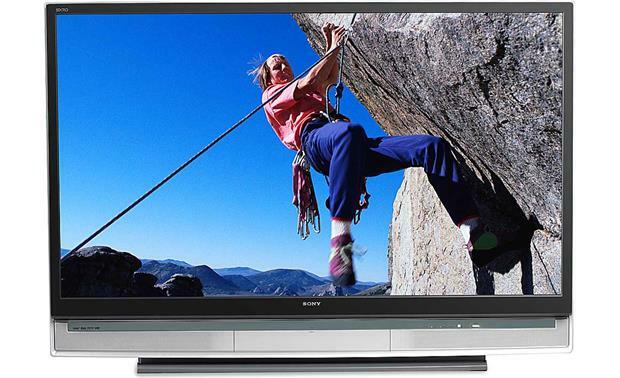 Don’t settle for anything but the best and be sure to an authentic Sony KDS-60A2000 TV. When buying look for the seal of approval — don’t get caught with a counterfeit lamp. They have shorter lamp and are more toxic due to the substitute materials used by counterfeit manufacturers. These lamps often don’t work properly with the sensitive electronics in your projector and are prone to explosions. Keep your projector working properly and invest in an authentic projector lamp. Your Sony KDS-60A2000 TV lamp should last up to 8000 hours depending in usagfe and the environment it works in. It’s time to replace the TV lamp when the screen becomes darker, or if brightness starts to diminish gradually and the colors look wrong. A message will also appear on screen asking you to replace the lamp and the LAMP LED on the front of the TV starts blinking. Unplug the AC power cord on the Sony KDS-60A2000 TV . Your Sony KDS-60A2000 uses the Sony XL-5200 Replacement TV Lamp. Before installing the lamp, let the projector cool for at least 40 minutes. It should be cool to the touch. Don’t rush the cooling as these projectors operate using extremely high temperatures and you run the risk of a serious burn. _ Take the new Sony XL-5200 lamp out of the box.Do not touch the glass portion of the new lamp. Remove the outside lamp cover.Release the two clamps as shown in the illustration below. Turn the screw counterclockwise and slide the lever to the left. Pull out the Sony XL-5200 lamp. Hold the indented grooves on the top corners of the lampand pull the lamp straight out. If the lamp is hard to remove, pull the right side of the lamp for additional traction. Do not shake the lamp. Vibration can damage the lamp or shorten its life. Avoid touching the front glass of a new lamp. NOTE: The Sony XL-5200 TV lamp contains mercury and should not be thrown into regular garbage. Recycle this lamp! Put the new Sony XL-5200 lamp into its place. Insert the new lamp by pressing the two parts firmly into. Make sure the lamp is securely mounted into the compartment. Failure to do so may cause a fire or the screen to go dark. 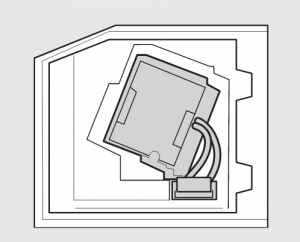 The lamp compartment should be properly tilted (see the illustration) in order for the installation to be aligned. If the lamp is not securely reattached, the self-diagnostic function may be triggered and the POWER LED blinks three times. Re-insert the lamp if this happens. Replace the door by inserting the two tabs in the slot from the left side. Slide the lever to the right and then turn the screw clockwise to secure the door. Put the outside lamp cover back in its place. Replace the cover, inserting it from the left side. Press the two tabs on the right side to secure the cover. You are now ready to reset the TV lamp timer. 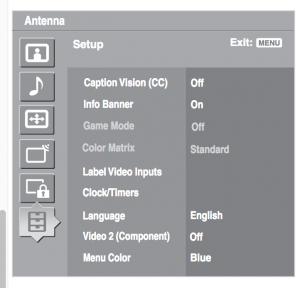 Turn on the TV and set the Lamp Replacement option in the Setup settings. This setting is necessary to inform you when the next lamp replacement is needed. Until you set the Lamp Replacement option, a message announcing that the lamp is at the end of its life will appear every time you turn on the TV. Reset the lamp timer. Press enter. To exit the Settings, press MENU.